Doo Wop with hot piano action on the flip! With every passing year, more young R&B vocal groups harmonized on the bustling street corners of Harlem. 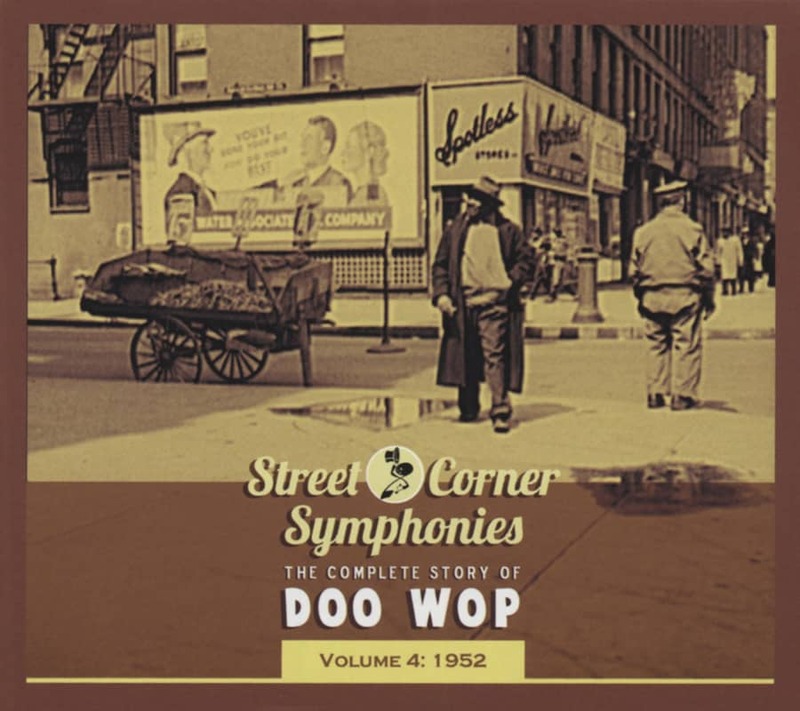 Wilbur 'Yonkie' Paul and Dock Green started out singing on 115th Street with three future members of The Five Willows in early 1952 as The Harmonaires, but that didn't last long. The pair hooked up with three brothers sharing the surname of Clark: James (aka 'Papa'), Claude (aka 'Nicky'), and John, who answered to 'Sonny Boy.' Green sang bass and John was on baritone; the others were tenors. They called themselves The Five Crowns. Orioles valet Lover Patterson was recruited as their manager, and he wangled the group a contract with Eddie Heller's Manhattan-based Rainbow Records in July of '52. Patterson is credited with writing You're My Inspiration, one of two gorgeous ballads comprising the Crowns' debut (A Star, another Patterson composition, occupied the other side). Papa Clark fronted both; he usually sang the ballads while Paul handled upbeat fare. 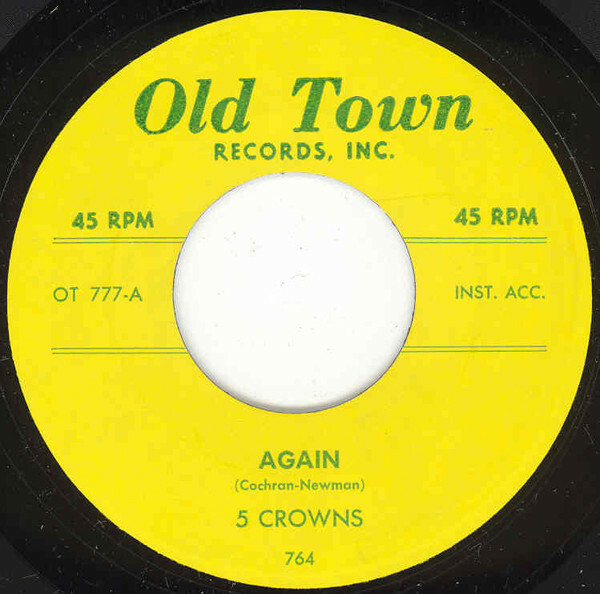 The Five Crowns released three more singles on Rainbow extending to the spring of '53. One coupled covers of two pop hits, Jo Stafford's Keep It A Secret and Joni James' Why Don't You Believe Me, while the quintet's rendition of Hank Williams' You Win Again languished in Rainbow's vaults. From there, the group moved over to Hy Weiss' Old Town logo for a couple of singles, returned to Rainbow for a solitary '55 offering on Heller's new Riviera imprint, and toward the end of the year stopped at George Goldner's Gee label for God Bless You. Without a hit, the Crowns faded away for a time, but Green and Paul located some new members and made Popcorn Willie, out on both Trans-World and Caravan in 1956. Personnel changes were frequent, but Patterson stuck by them. By '58, Green's mates in The Crowns (they'd dropped the 'Five') included tenor Charlie Thomas, baritone Benjamin Earl Nelson, and bass Elsbeary Hobbs. "Lover Patterson was looking for a baritone singer to join them, because one of them left. And my father had a restaurant more or less right across the street from where he lived," says Nelson. "I had done a little singing in church and doo-woppin' around and stuff." The new lineup made a one-off for the tiny R&B logo, Kiss And Make Up, written by Doc Pomus and Mort Shuman and led by Thomas. Then Drifters manager George Treadwell sacked his entire platoon of Drifters after a stormy week's engagement at the Apollo. The Crowns would replace them. "Shortly after we closed, we were downtown in New York, signing the contract to become the Drifters," said Nelson, who would soon emerge as a star under a new stage name: Ben E. King. Customer evaluation for "Again - Good Luck Darlin'"